When I think of lace I automatically think "dainty". It's the first thing to pop into my mind! So I knew I wanted to take this prompt in the direction of the ultimate girly girl. 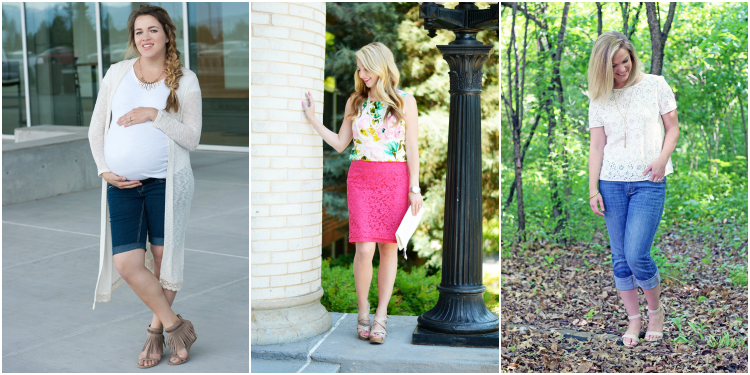 Lace, pink, pearls and all! 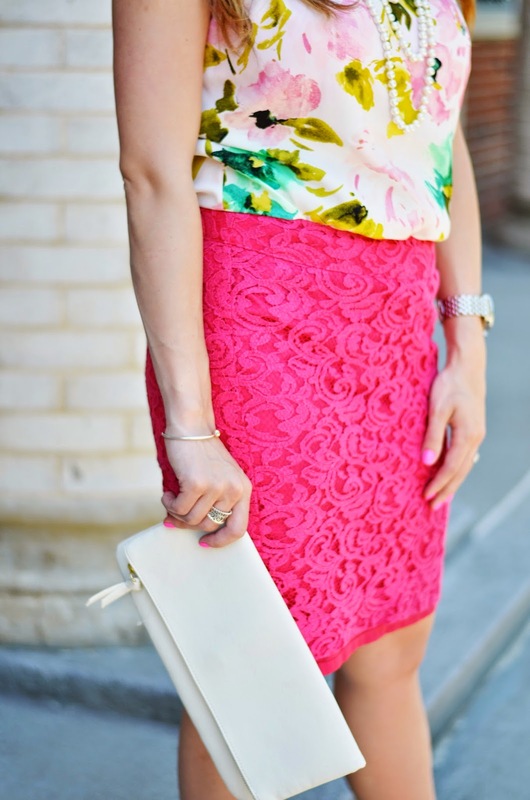 This outfit screams girly girl to me with the bold pops of pink and floral pattern paired with the lace. I absoutely love it! You know those outfits you put together and you just feel... good? Well that was this number for me! I felt confident and beautiful and I think that is important for a woman. I know Jana is so ready to have her baby girl, but she nailed another number in her maternity fashion (and that braid has me swooning)! Her looks will be missed for the next few weeks as she enjoys bringing her new baby girl into the world! Wishing you a healthy and safe birth! As always Karly looks gorgeous. I love how she made her lacy number casual with jeans and a cute sandal. Be sure to visit their blogs for outfit details. My feature of the week was SO hard to choose, but I loved the look Shea created with her jogger pants. She looks comfy casual and I'm so jealous of how well she rocks the jogger pants. They are a fashion trend I've been nervous to try. Great job to all of you! 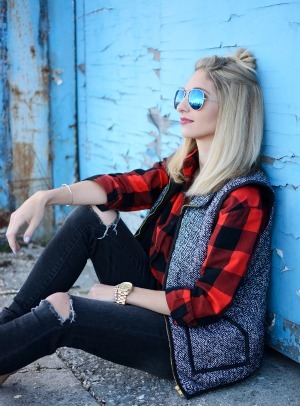 Make sure to visit Jana's blog to see her feature this week! JUNE!? What! How? We have some awesome prompts up ahead with fabulous co-hosts. 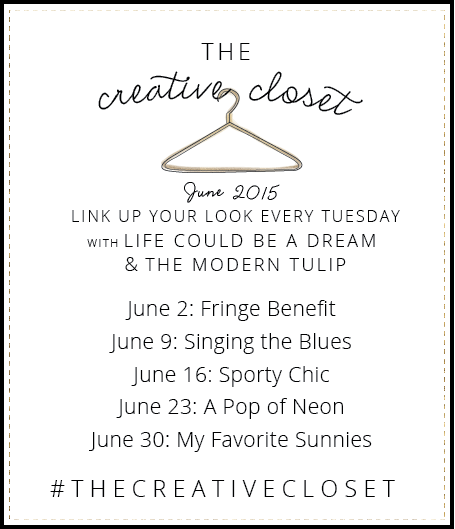 Join us next Tuesday and show off your FRINGE! 19 comments on "The Creative Closet || A Little Bit Of Lace"
I love the color of your lace skirt. It's so perfect for this time of year. And your hair is just perfection. This is the most girly-elegant outfit you have ever put together. Love that skirt and your top so much and all the accessories you added are so lady-like, pretty and just perfect for this. Glad joining you ladies for a little bit of lace today. Check out my little lace - thanks! I love this look. Your confidence and happiness totes shows! Oh my gosh-I absolutely adore that look-fantastic! Love that skirt! I can totally see wearing that entire look for a summer wedding! You look incredible, girlfriend! I love all the bright colors and how girly your whole look is. Thanks for having me as cohost today! 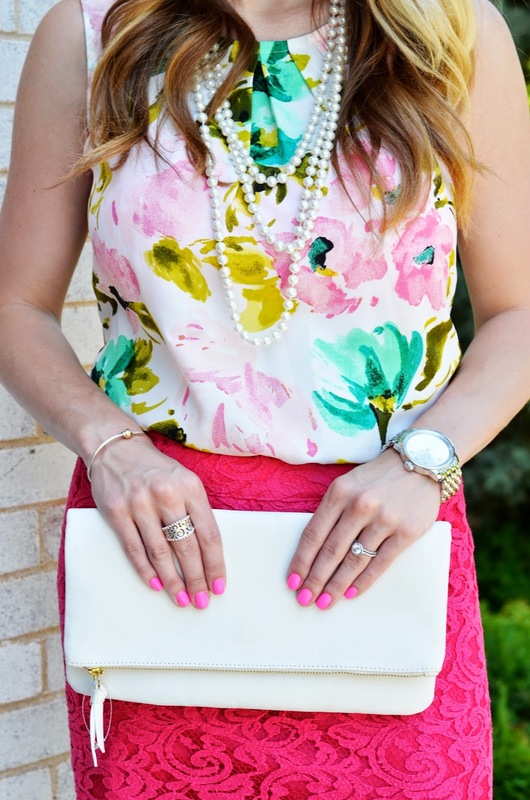 I love the bright color of the skirt and the bold pattern on the blouse. This look is amazing! This outfit has my name written all over it - I love every single thing about it! That lip colour looks incredible on you. How is it possible you just had a baby?! Finding cute things in the back of the closet is THE BEST. Love love love the entire outfit, especially the color of that skirt! I love that your lips match your skirt! I also love how girly the whole outfit is! Loving your floral top! I need to add one of those to my closet this summer!